Russia says the number of villages and towns that have joined a Moscow-brokered truce with the Syrian government in southwestern Syria has risen to 90. The Center for Reconciliation in Syria also said Monday that the Russian military planned to evacuate up to 1,000 people from the Arab country’s southwest, RIA news agency reported. They would exit via a humanitarian corridor near the city of Dara’a and be transferred to Syria’s northern Idlib Province, it added. 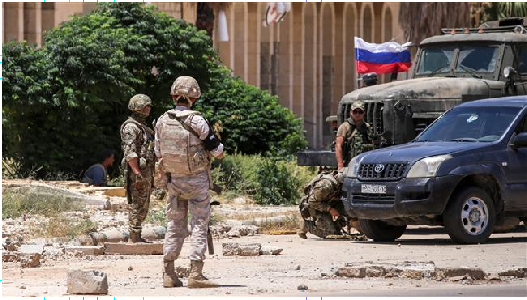 Russia has been lending aerial support to an ongoing push by Syria to liberate Dara’a Province and its neighboring provinces of Quneitra and Suwaida, which form Syria’s southern tip. The evacuation comes after Jordan refused to let in those who have been displaced by the operation. SANA also said that the army had confronted an Israeli aerial aggression targeting the T-4 airbase in the countryside of the western city of Homs. The army “downed a number of missiles which targeted T-4 airport and hit one of the attacking warplanes, forcing the others to leave the airspace,” it reported. Israel has repeatedly targeted the positions of the army and its allies inside Syria using the Lebanese airspace. The regime also provides medical treatment to Takfiri terrorists fleeing into the occupied Syrian territory of the Golan Heights.